Here is what their Website Says : We have an exciting opportunity and are looking for individuals in India to participate in a research project that requires participants to install a mobile application that works in the background of the mobile device. Participants are asked to do nothing else but install the app and keep it active in the background of their device. The participation in the research program is invite only. So comment down your paypal email id and your full name in the comment section below. Or whatsapp me on my below given number So that i can invite you. 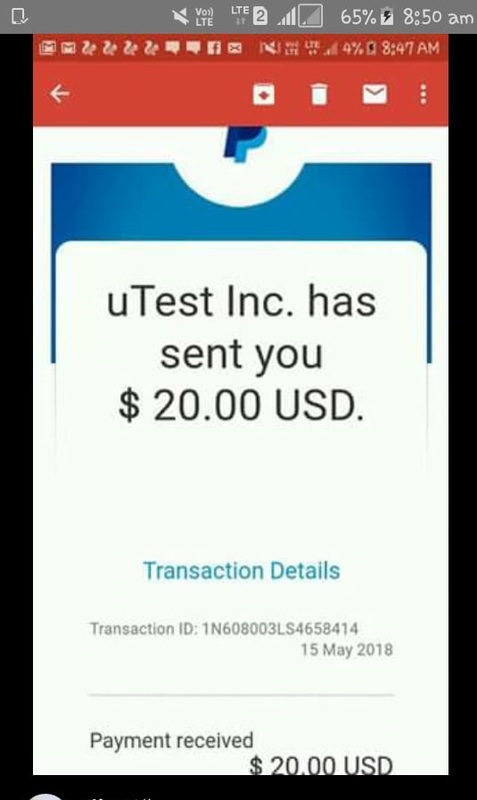 Note : Payout will be made in PayPal account on monthly basis. So just comment your paypal email id and full name in the comment section below so that i can invite you. You will receive the mail in 24 hours. You will get the invite mail in 5-12 hour. After receiving the email, Signup by email link. 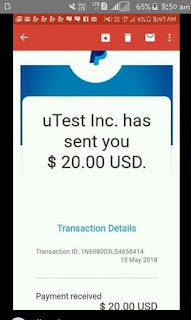 After sign up, you will receive another mail for facebook research app installation in 24 hours. Just download the app from the email link. 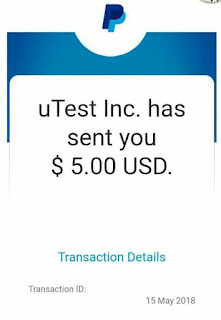 After downloading install it and keep the app in your mobile and get $5 per month for free without doing anything. Give all necessary permission to app to keep running in background. Note : In order to earn more, Refer your 5 friends and earn upto $75 per month for free. 1.To Refer friend click on link that you got in 1st mail. It open a page. 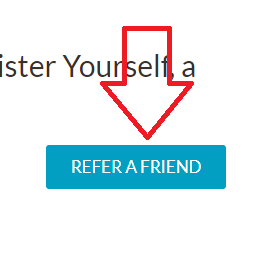 Click on REFER A FRIEND button. 2.Enter your name and your email id and then friends details and leave last 2 text box blank and submit. 3.Your friend will get Invite mail in 24 to 48 hour and ask him to submit details to get app link in 2nd mail and so on like you do. Get paid for each month your referrals keep the application installed and active!! How quickly your referrals join the program after you sign yourself up. 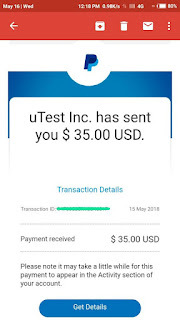 Below are the earning proof of this facebook research program by applause. This research is genuine as many of my friends have received their money in their paypal id. So grab this awesome chance to earn money for free and sign up for the project asap before it closes out. And also dont forget to refer as much friends as you can so that you can earn upto $75 per month. Hi Joydeep. I have invited you. You will get a email within 10 hour. Please sign up there. My what’s app no. 8982349304 Contact me for invitation of Facebook research.